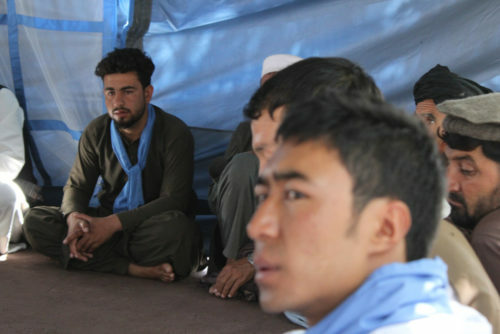 Can Afghans convince us that the method of war doesn’t work? Consider their thirst to end the war. 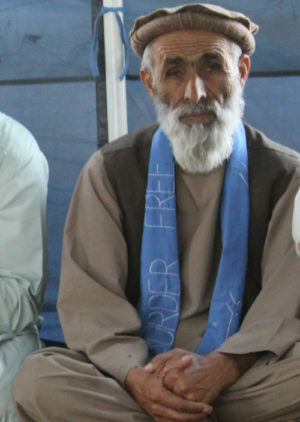 When Amanullah Khateb joined the Convoy, now called the People’s Peace Movement ( PPM ), he didn’t know that he would not see his wife again. With poor access to healthcare services, she recently died of appendicitis, leaving behind Khateb and three children. Britain’s Afghan envoy between 2007 and 2010, Sherard Cowper-Coles reviewed Investment in Blood: the True Cost of Britain’s Afghan War by Frank Ledwidge and wrote of the utter, unanswerable folly of Britain’s military intervention in Halmand. In 2013, while on his tour of duty in Helmand, Prince Harry had said that shooting Hellfire Missiles at insurgents was like ‘playing video games’. In response, the Taliban said that Prince Harry had probably developed a mental problem. The Taliban themselves have mental illnesses. Afghan psychiatrist Dr Nader Alemi treated the Taliban as human beings though he disagreed with their ideology. He described his Taliban patients as ‘depressed because they never knew what would happen from one minute to the next.’ They were so depressed ‘many wanted to die‘. The Taliban would weep and Dr Nader would comfort them. 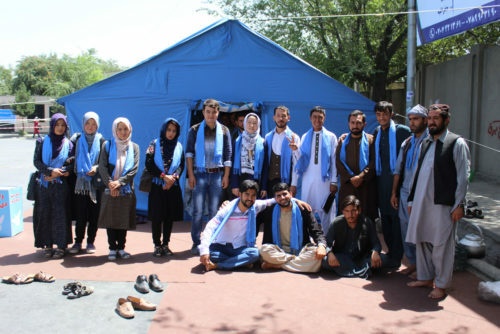 But, Kabul’s security deteriorated. 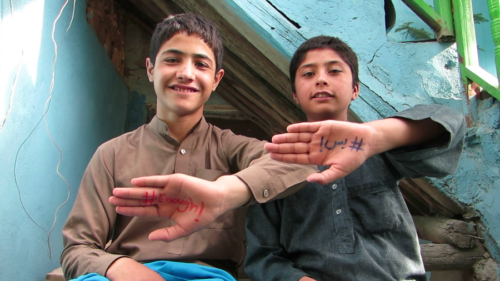 Kahar and his family returned from the frying pan into fiery Helmand, where it was reported in 2017 that ‘over the past 15 years Helmand had lost 18,000 policemen’ and where, in July 2018, 600.000 children were reported to be deprived of an education. 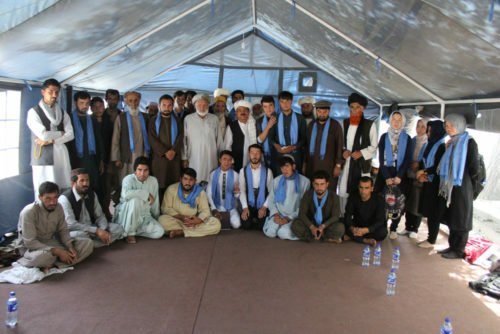 The Afghan Peace Volunteers (APVs) met the PPM members in their blue tent last Sunday. 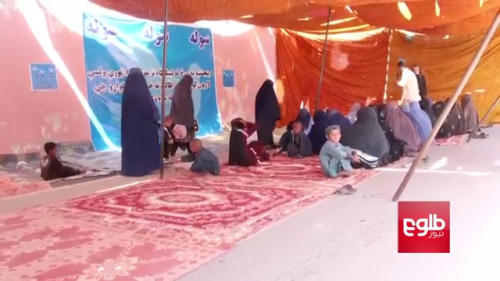 This article was posted on Thursday, August 2nd, 2018 at 7:36pm and is filed under Afghanistan, Solidarity, Taliban, United Kingdom, United States, War.